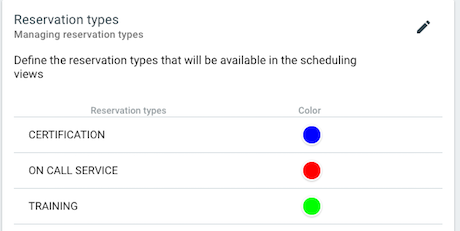 The Time Slots tab is used to create and manage the different absence and reservation types that can then be applied to the Planning Board in order to accurately reflect current employee availability. 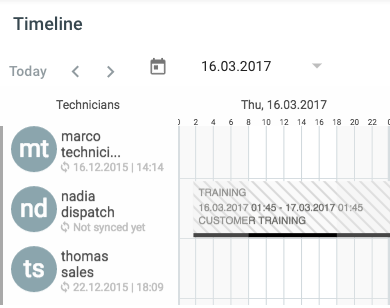 Reservation and absence time slots can then be applied to a employee by creating a new task on the Planning Board of the Planning & Dispatching app. 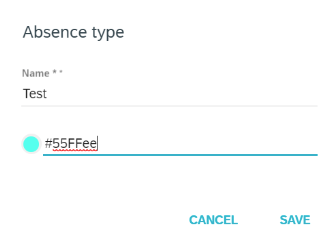 Title If applicable, the title of the reservation type. This will display on the Planning Board. 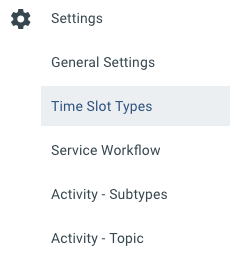 Note: when adding a reservation to planning board in the Planning & Dispatching app, you can choose to set a time instead of being applied for the netire day. There will be the option to block the time and the technician.